Big Bend cabins, cozy clean quiet rooms, shared decks with great views! 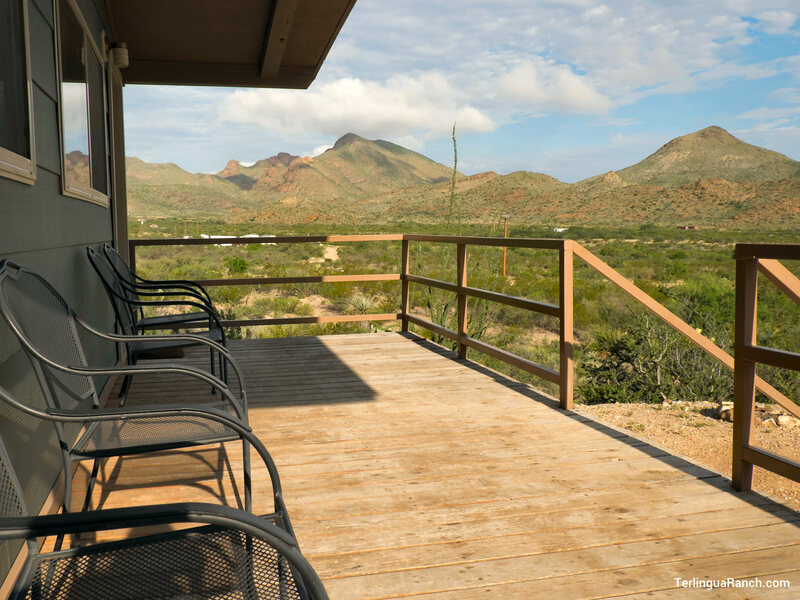 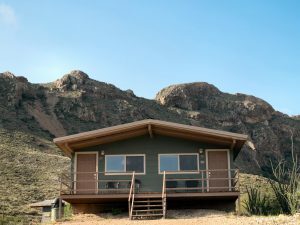 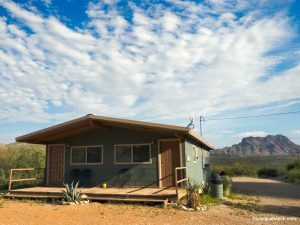 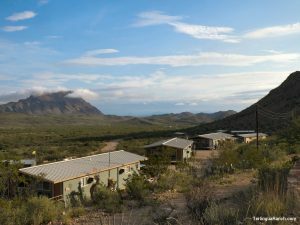 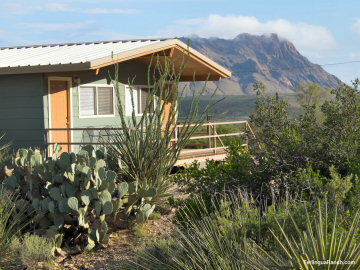 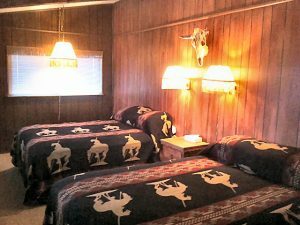 Terlingua Ranch Lodge offers 32 cozy, clean and quiet cabin guest rooms with shared decks and great views of the surrounding Big Bend area mountains by day ▶️ and a universe full of stars and galaxies at night ▶️. 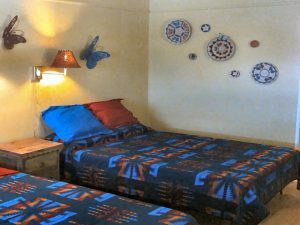 Our guest rooms (four to each cabin) are for folks who want to get away from it all – there’s no TV or phone service, but we do have Wi-Fi throughout the grounds. 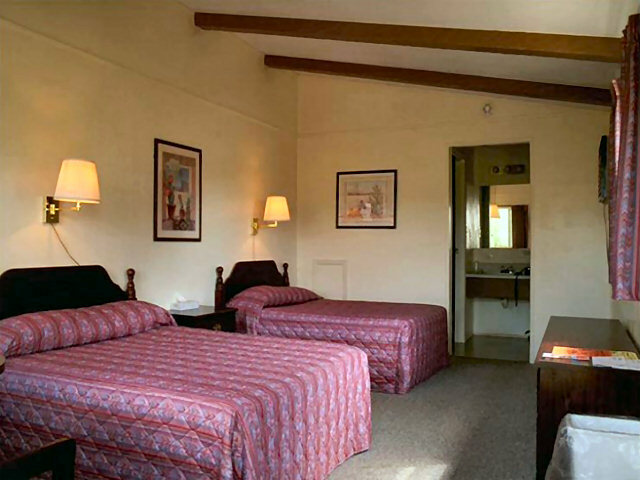 All rooms have new queen beds, full bath, heating, air conditioning, writing table and a dresser. 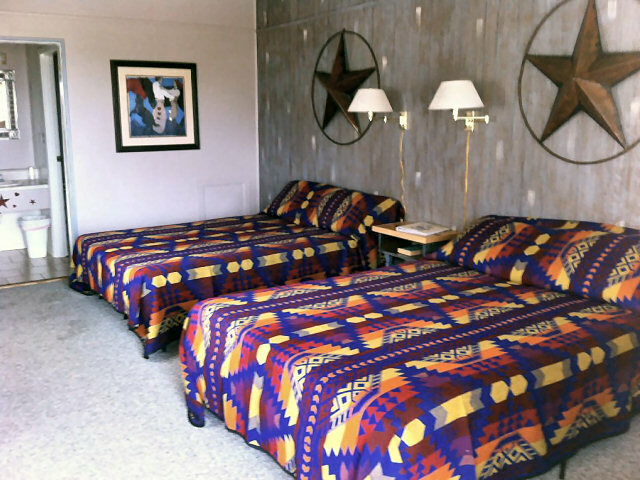 We also provide shampoo but bring your own hair dryer. 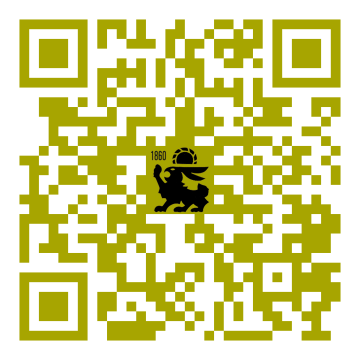 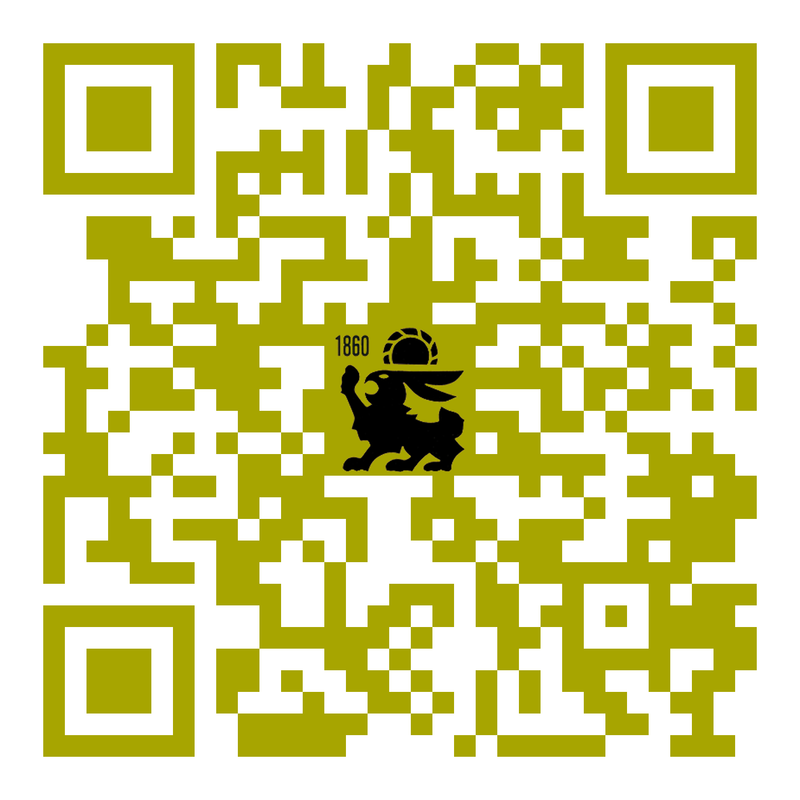 Food and beverages are available at our Bad Rabbit Cafe. 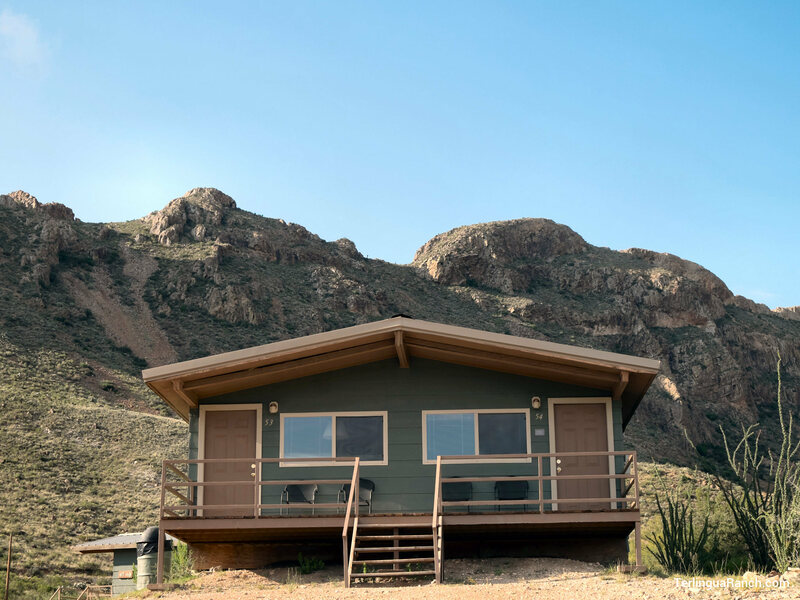 Our rooms have no refrigerator or microwave and no indoor cooking is allowed, but fire rings are available near each porch for outdoor cooking as campfire safety rules and burn bans allow.